According to the Chinese Ambassador to China Mr Lu Youqing, trade volumes between China and Tanzania amounted to USD3.7bn in 2013. The announcement was made in Dar es Salaam at the event accompanying the start of the Chinese new year. According to ambassador Youqing to date more than 500 Chinese companies have invested in Tanzania. 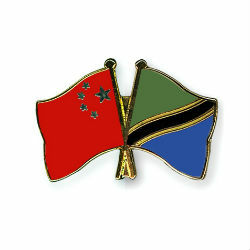 The Chinese embassy to Tanzania previously informed the general public during February 2014 that China’s total direct investment in Tanzania soared from $700 million in 2011 to $2.1 billion in 2013, turning the world’s second biggest economy into the biggest foreign investor in the east African country.